The Irving K. Barber Learning Centre will be closed from Friday, December 28 through Saturday, December 29, 2018 due to a health and safety requirement while the fire alarm control panels are replaced, as part of scheduled maintenance. 외국인 을 위한 읽기 와 쓰기 / 지은이 Korean Factory 편 ; 연구자 유 승금 [and five others]. The building is expected to reopen at 6 a.m. on Sunday, December 30, 2018. As a joint appointment of Asian Library (50%) and Woodward Library (50%), plans and implements services that respond to the needs of the Korean Studies and health sciences communities. Participates as a member of the Woodward and Asian Library teams to provide liaison, reference, instructional programs and information services to faculty, students, staff and community users. Participates in the development and assessment of library collections for designated subject areas. Provides library services to researchers using Korean language materials, acts as liaison with assigned departments and the Korean-Canadian community, has responsibility for designated health/medicine subject areas at Woodward library. Provides online and in-person classroom instruction and assistance in the use of information resources. Develops re-usable learning objects, designs, develops and maintains a library of digital materials and supports information literacy instruction in print and online environments. Actively engages in integrated information literacy and knowledge synthesis. Collaborates on scholarly communication and data services initiatives, and other new library initiatives as they arise. Participates in library committees and contributes to the Library’s and the University’s goals, including those related to diversity and inclusion. Participates in the development of library policy, procedures, and services. Assumes responsibility for coordination and management of staff, students, services and projects as required. Evening and weekend work may be required. The nature and scope of responsibilities for this and other library positions are expected to change as the Library organization evolves. Excellent proficiency in reading, written and spoken Korean, including knowledge of the Hancha and the McCune-Reischauer Romanization systems, as well as an excellent command of spoken and written English. Knowledge of electronic information technologies and their applications in an evolving library environment. Ability to write professional reports and to deliver presentations. Experience handling a budget for collections, projects and/or programs. This is a joint appointment reporting to the Head, Woodward Library and the Head, Asian Library, with work reviewed jointly by the respective Heads with regards to achievements and objectives met. Consults and works collaboratively with library colleagues across all units, and faculty members, as necessary. Works with Technical Services on the cataloguing and processing of Korean language materials. May be required to supervise student librarians, student assistants and library assistants. Interacts with faculty, students, staff and the public. Provides reference and research services to UBC students, staff and faculty members, and members of the public. As the librarian responsible for particular subjects, advises and assists in difficult or extensive searches in these areas. Employs the full range of Internet, electronic and print resources. Participates in collection development in liaison areas. Works with others to develop and maintain the Woodward and Asian Library presence on the UBC Library webpage and throughout the UBC campus, as appropriate. Provides Information/Reference training for support staff and UBC iSchool student librarians. Prepares handouts, research guides and informational brochures in appropriate formats. Provides instruction/presentations to faculty, students and staff (in the library, online, within the classroom and in the faculty departments) related to the Library’s services, tools and collections. Involved in the planning, designing and organization of these instructional programs. Initiates and maintains contact with faculty in assigned departments. Liaises with faculty on issues of collection development, including serials and databases. Attends faculty meetings and participates in faculty committees in the life sciences. Responds to faculty requests for accreditation, new course proposals, etc., in consultation with the appropriate Head. Works with Digital Initiatives on the selection and implementation of digitization projects. Provides guidance to scholars and students on data analysis tools relevant to Korean Studies, health sciences studies, and digitized collections. Continually builds on expertise in this area through a combination of self-study and professional development opportunities. Participates in collection development in health sciences liaison areas as well as for Korean language monograph and serials collections, in both print and electronic formats. Consults with the Head and the AUL, Collections Management in cases of expensive and rare materials. Works with other library employees to ensure access and resolve user support issues for electronic resources, which may include licensing, systems configuration, presentation and evaluation. Assesses and selects Korean materials received through gift or exchange. Handles book donations from individuals or organizations. Performs monetary evaluations as required. Advises and assists regarding Korean language monographs and serials for binding and preservation. Organizes community engagement activities or events. Creates project plans for these activities, including budgetary planning. Prepares or curates book displays or exhibits. Serves as liaison with the Korean-Canadian Community. May be required to supervise student employees and staff in the absence of the supervisor(s). May be assigned supervisory responsibility for building maintenance, collections management and storage. May be assigned coordination of reference or instruction services within Woodward: reference, information desk scheduling, teaching and instruction, web presence, subject guides and/or information guides, etc. During assigned periods may have responsibility for operation of either the Woodward Library or the Asian Library. Represents respective branches on library committees and working groups. 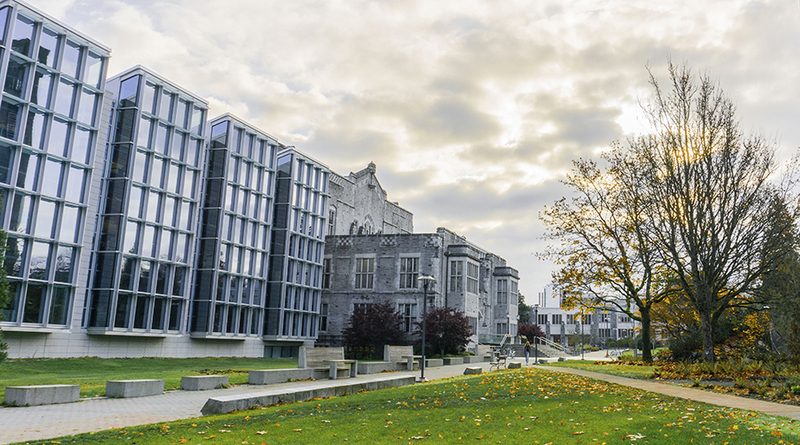 Liaises with librarians in other areas of the UBC library system, as well as library professionals from external organizations through professional development activities. Maintains an awareness of new literature and research developments in areas of specialization and emerging trends in sciences libraries. Keeps abreast of public services developments in the rest of the Library. This position will be filled as a full-time, two-year term position.